A warehouse shipping and receiving clerk is someone who handles a company’s distribution. Shipping and receiving clerks work in a wide array of industries, from food to retail to farming equipment to refrigeration. They handle a multitude of duties, making sure that orders are tracked, shelves are stocked and invoices are kept up to date and filed. Warehouse shipping and receiving clerks often spend much of their days organizing merchandise and loading and unloading shipments. Many times they operate equipment used to help them lift and sort incoming and outgoing products. Shipping and receiving workers need to understand their company’s guidelines pertaining to warehousing and distribution, and will sometimes negotiate with manufacturing salesmen on costs of merchandise. They also may be responsible for cleaning, organizing and maintaining the warehouse. A warehouse shipping and receiving clerk spends much of her workday on her feet, lifting and sorting packages, and therefore will need to possess some strength and stamina. She also should own strong communication skills, as she deals with everyone from superiors to vendors on a regular basis. She should be organized, analytical, motivated and a smart negotiator. Shipping and receiving clerks must also have a grasp of basic arithmetic, since they are often responsible for double-checking the pricing on invoices and other financial documents. Warehouse shipping and receiving clerks come from an array of backgrounds, with education usually not as important as a strong work ethic and willingness to learn. That said, most employers prefer candidates with at least a high school diploma or the equivalent when hiring a member of their shipping and receiving team. Some clerks obtain an associate's or bachelor’s degree, with an emphasis on courses in business, administration, logistics and sales. More than 750,000 workers were employed as warehouse shipping and receiving clerks in May 2008, according to the U.S. Bureau of Labor Statistics (BLS). Jobs for shipping and receiving clerks were expected to decrease 7 percent from 2008 to 18, the BLS reported. “As companies use computers and high-technology scanners to store and retrieve shipping and receiving records, fewer clerks will be needed to oversee these activities,” according to the BLS. Shipping and receiving workers earned anywhere from $11.16 to $17.48 per hour in March 2010, according to PayScale.com. Much of those earnings were based on the clerk’s experience, industry and responsibilities. Meanwhile, the BLS reported that shipping and receiving clerks made a median salary of $27,660 in May 2008. Amico, Sam. "Warehousing Shipper/Receiver Job Description." 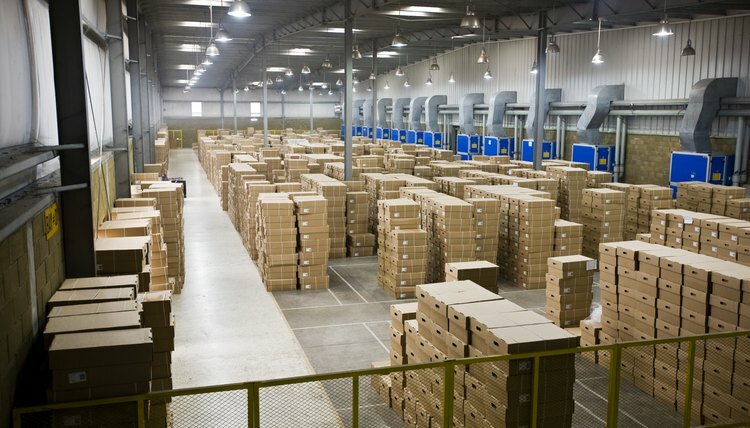 , https://careertrend.com/about-6297625-warehousing-shipper-receiver-job-description.html. 05 July 2017.